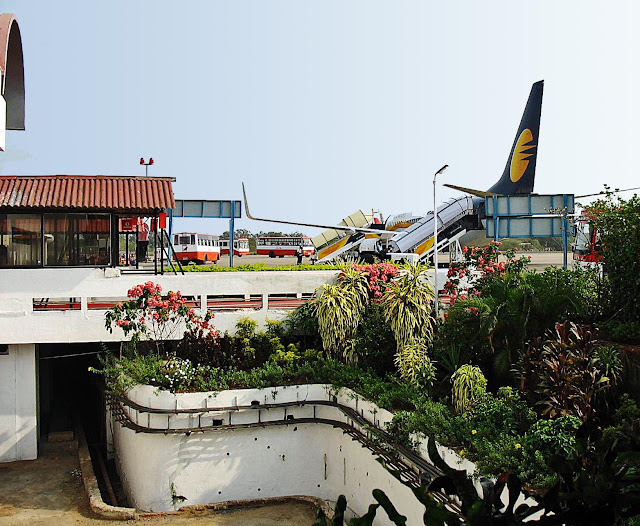 Here are some pictures of the exterior of Goa airport. 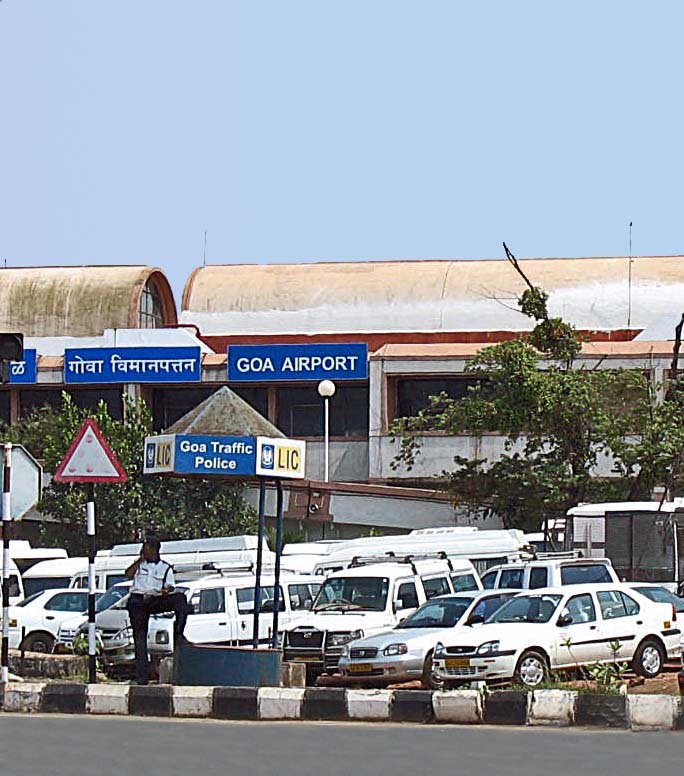 The first one shows the airport building and some people outside. This is another shot of Goa airport building with cars parked outside. 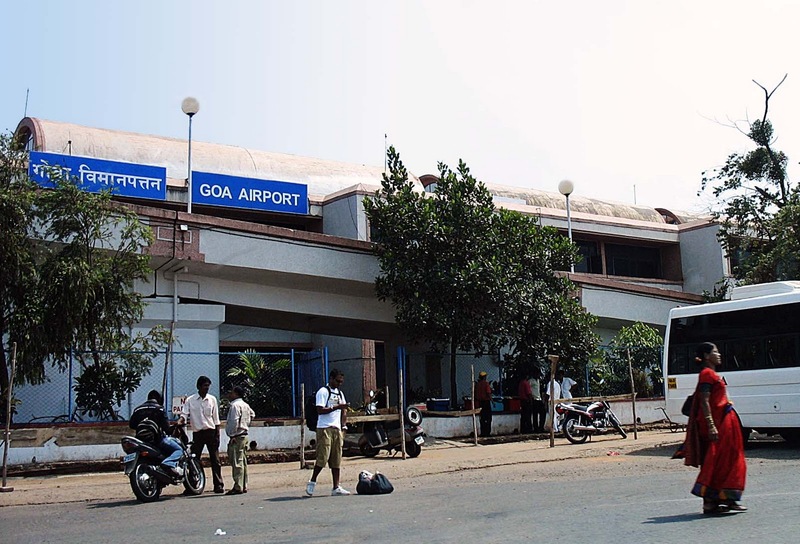 This is a shot of Goa airport after leaving the security lounge and on the way to board the airplane. In the foreground you can see the airport building and in the background a parked aircraft and some parked buses. 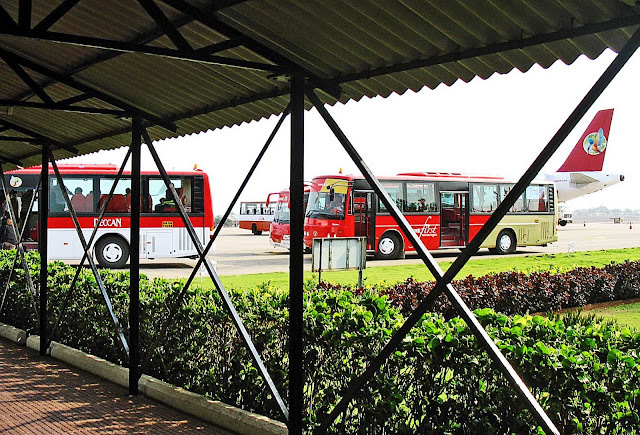 This is another view of the airport tarmac with buses waiting to take passengers to board the aeroplane.